Eterna is proud to partner withBrilliant Distinctions ® Program. As a member, you will have access to valuable savings on your BOTOX® Cosmetic,CoolSculpting, JUVÉDERM® XC, LATISSE® and SkinMedica® purchases. 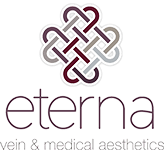 As our loyal client, you will earn points for every purchase of BOTOX Cosmetic, CoolSculpting, JUVÉDERM XC, LATISSE and SkinMedica.